So why would you choose us when you can go to a “globo gym”? At Root 18 CrossFit, you are more than just a member! You are a part of a community of athletes that we work with very closely so that you WILL see results. Just as we take responsibility in each and every one of our athletes to be sure the they ALL succeed, we expect each of our athletes to be accountable not only to us, but accountable to themselves. Who enjoys walking into a gym and doing the same old, monotonous workout…alone? We’re sure you don’t! We’ve found that when you train with a coach and other athletes, it brings out the competitive nature in all of us and well…it drives you to a level that you never thought possible. Most injuries in the gym happen when technique and form are compromised. 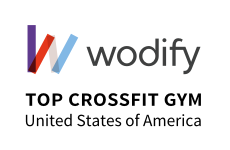 Our certified CrossFit coaches, will guide you every step of the way during your training sessions to ensure you are safe and you get the most out of every session. Working out should not be a chore. ROUTINE is the enemy! By constantly varying workouts, movements and locations, you will stay interested and continue to develop as an athlete all while having a good time! A large part of the CrossFit philosophy is tied to the idea of community. We believe that fitness is more than just about being skinny and looking good. It’s about living a healthy lifestyle and sharing that lifestyle with others. The Root 18 CrossFit community is one of support, self improvement, and charity. It’s not just a WORKOUT. It’s a way of LIFE!